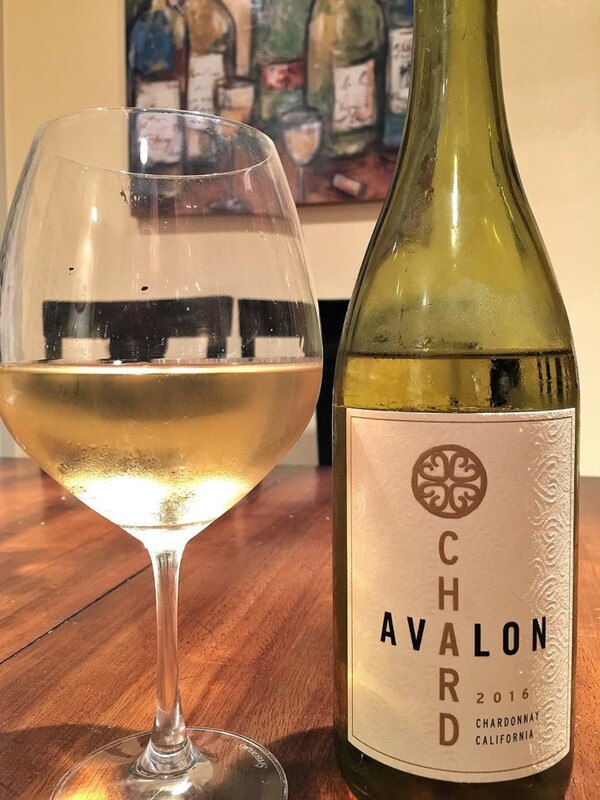 Our Wine Of The Week is a great every day sipping wine – Avalon Winery 2016 Chardonnay. Warm weather is still with us, making this affordable Chardonnay a great sipper on warm evenings and a perfect pair with light fare. Avalon’s Chardonnay is produced with grapes farmed in Sonoma and Santa Barbara Counties, creating a synergy with the signature features of those two regions. From the south, we get acidity and citrus. Grapes from Sonoma provide a subtle balance with tree fruits and overall balance. I thought I’d need to cool this wine down to the low end of the proper serving temperature range for light white wines, but as I impatiently sipped after dunking the bottle for just a few minutes in an ice bucket, it was fine at a serving temperature typical for heavier white wines. When left to cool further, nothing was lost and the crisp citrus and apple came through nicely with a slight hint of oak. Avalon Winery is a brand produced by Purple Wine + Spirits in Graton, CA (Sonoma County).